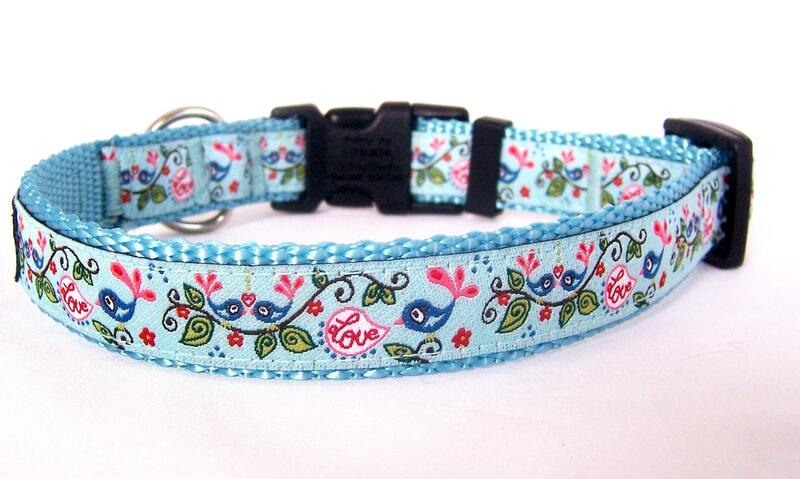 Cute Love Birds Dog Collar. This ribbon is from Germany with little birds in a scroll design in aqua blue. 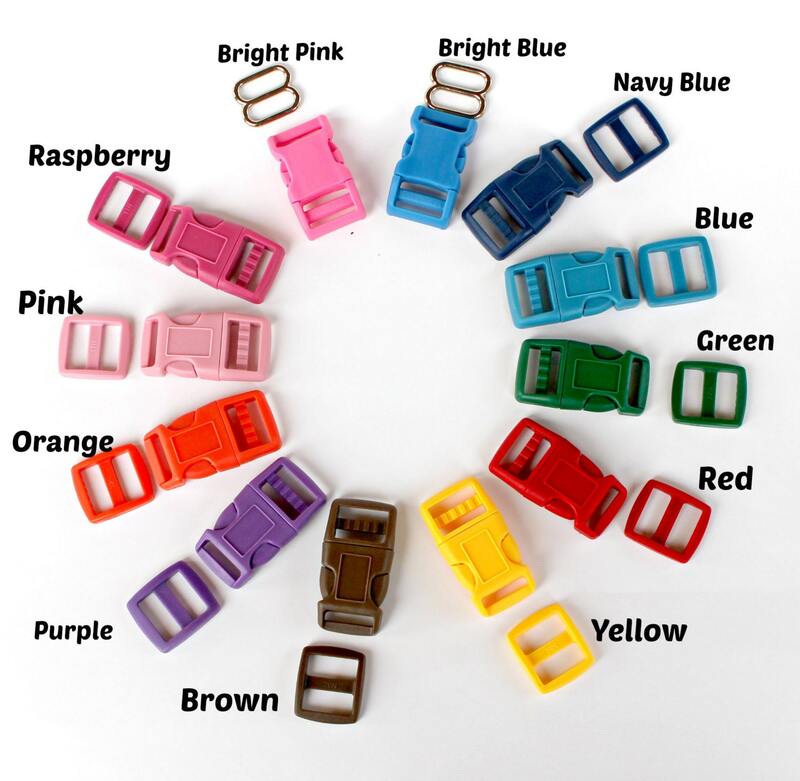 It is placed on aqua blue heavyweight webbing with your choice of buckle color and size. I have had nothing but wonderful experiences with daydogdesigns! 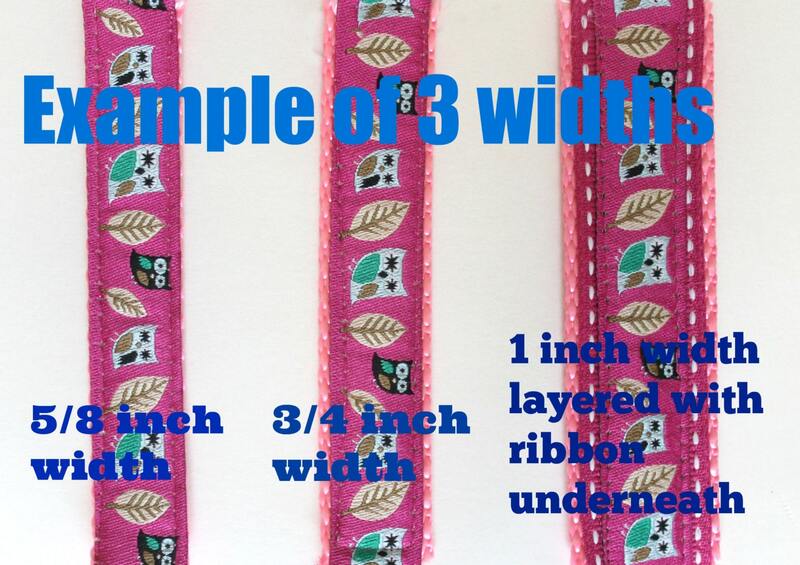 I have been so happy with the collars I have received, and Terri is always willing to accommodate any requests. Thank you! So adorable! I love it- I'm sure I will be a repeat customer! Shipping was an expected speed since item was customized. Thanks again! 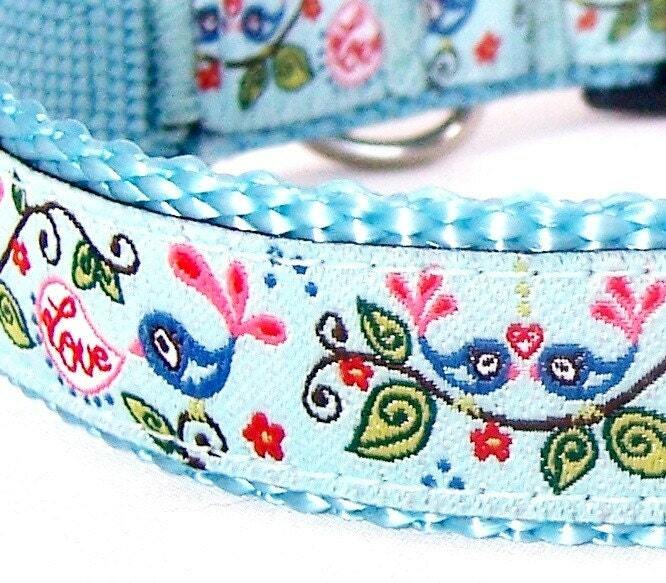 This collar looks fabulous on my dog....very well made!